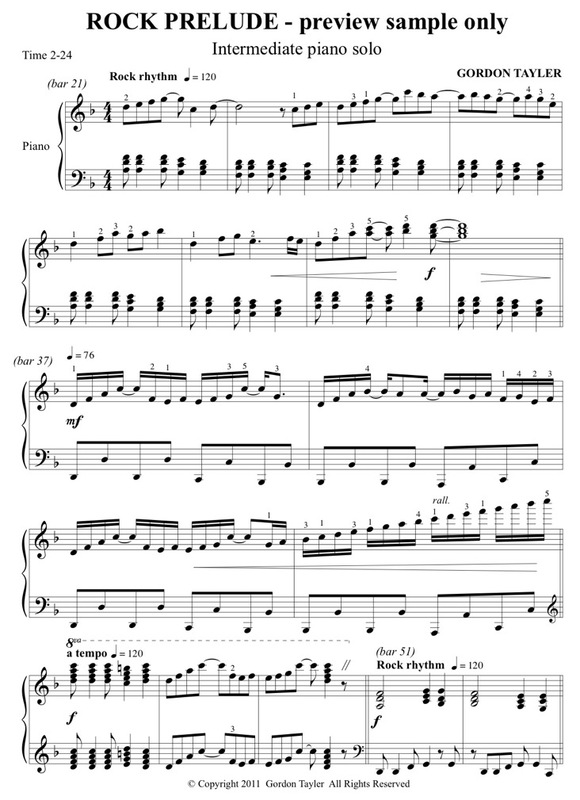 This intermediate piano solo is mostly about strong rhythm, as is typical of the rock genre. Bars 13 to 28 usually requires considerable hands apart practice before doing together work – don’t let the LH chords overpower the main theme in the RH. Bars 29 to 36 is an exercise in octaves for both hands (broken in the left) – eye contact is best on the RH, so practice the LH bass riff without looking. The tempo changes should note disrupt the overall rhythmic energy of the piece. To maintain a forceful tone, the student should be sure to keep the the fingers slightly curved with a firmness in the last joint of each finger – play through each key, not on the surface.